Over the past 20 years I've developed a number of comparisons of how a tutor/mentor program and a citywide strategy of many tutor/mentor programs requires the same commitment, talent, playbook and game plan as is required for successful sports teams. As far back as 1994 and 1995 I was presenting ideas to member of the Chicago White Sox encouraging them to become partners with the Tutor/Mentor Connection. In the past few years the Lead Coordinator at Cabrini Connections was a former football player at Northwestern and I encouraged him to write a series of blog articles using sports terms and analogies. He was the "head coach" and I was the "general manager". 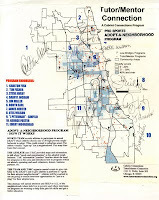 In 1995 a group of ex pros was starting a new apparel company and I encouraged them to take one of our maps to a golf outing to see if other pros might sign the map as part of an 'adopt a neighborhood' strategy. This map was the result. I've used this map in articles like this where I've suggested that pro athletes might rather talk about strategies for helping inner city kids after a tough game than about how they missed a free throw in the final seconds of a game. I created this pdf to illustrate how athletes could talk about the entire city of tutor/mentor programs when they were talking about the one, or two, programs their foundation was supporting. Here's a http://www.youtube.com/watch?v=0l4Xk_g_C3Y video] done by one of our interns to illustrate this idea. This GAME PLAN shows a year-round set of actions that the Tutor/Mentor Institute, LLC and partners could host in Chicago and other cities which could be supported by athletes and coaches. If we can find sponsors/athletes to help develop this in one or more cities it can grow to have an impact in every city. While one goal of these articles is to motivate adults to take on roles of investor, owner, financier, fan, general manager, coach and player in supporting individual tutor/mentor programs and/or citywide strategies, I recognize that changing behaviors and habits of adults is very difficult. 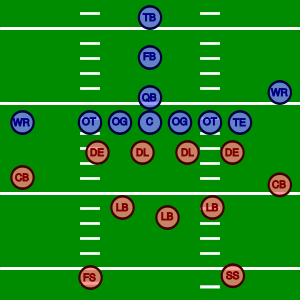 However, if youth were exposed to these ideas from the time they are in peewee football all the way through when they finish college and enter the pros, many would have the spatial thinking, commitment to team work and sharing, collective action, proactive generosity and investment in infrastructure that all non-profits require, not just tutor/mentor programs. We don't know which 6th grader will be the next Michael Jordan or Payton Manning, so if we treat them all as future stars, then regardless of what business the go pro in, they will have learned to use the web so learn what the problem is, how the charity fits into a solution, that the charity needs an ongoing flow of talent and operating dollars, and that these can be provided without a grant proposal or someone coming to you begging for a gift. You ought to be able to look at an organization's web site and determine that the fit in your "game plan" and decide how, and how much, you want to help them. What's the potential of creating a business and consulting/training firm around this idea? Here's what is involved. b) a writer/video producer could go through these and organize them into short training sessions, building in sports concepts of teamwork, practice, hard work, perseverance, etc. d) clinics for each sport (football, baseball, basketball, soccer, etc) would be conducted by coaches/players with experience in that sport, in the pre or post-season months. f) rapid response PR teams would be available to provide videos and material, as well as coaching, so athletes could be effective spokespersons following tragedies taking place in their home town or sports home town. If this plan is implemented and coaches begin to give visibility to these ideas and teach them to current and future athletes the result will be that every day someone in the country will be saying that "if we want to solve the problem, we need to provide time, talent, and dollars" to places in our city where the problem is severe as well as to infrastructure and intermediary organizations who make information available and provide needed training to assure that every program puts a professional and constantly improving team on the field every day. If they point to map/directories such as the Tutor/Mentor Program locator, and teach people to use the map to choose what zip code they want to help, then what programs in the zip code they want to help, based on age group service, type of program, etc., there will be a narrow list of choices in which to put their talent and dollars and a growing distribution of resources to support constantly improving programs all over each urban and rural area in the country. 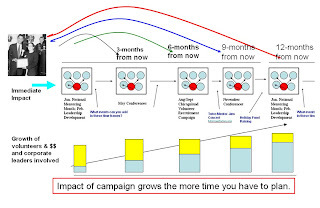 As a business plan, this strategy can generate revenue to make it self-sufficient over a few years. Initial revenue could come from sponsors and investors. Future revenue could come from fees for speeches, coaching clinics, books, videos, training materials, etc. We are coaching a system that provides more consistent support to non profits than the current system provides, and lowers the costs of acquiring needed resources. It also reduces burn-out at the management level and thus keeps leaders in place longer. These are all important outcomes that could be achieved.